Long Tail Analytics with Quantcast, Google Trends & Compete - Who Wins? 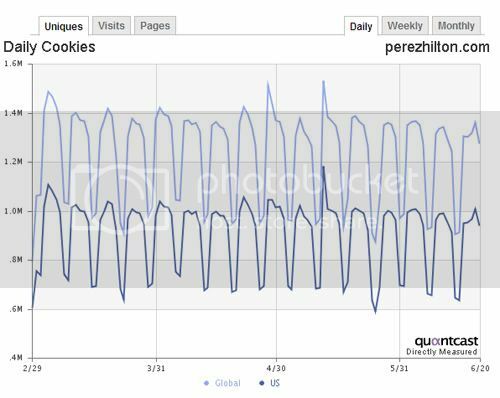 Now, we have three major players offering analytics for the tail of websites: Quantcast, Compete and Google Trends. Quantcast is, at this point, the only player that enables publishers to add tags to their site (or media: flash, network, etc) that effectively share their stats and make them public. 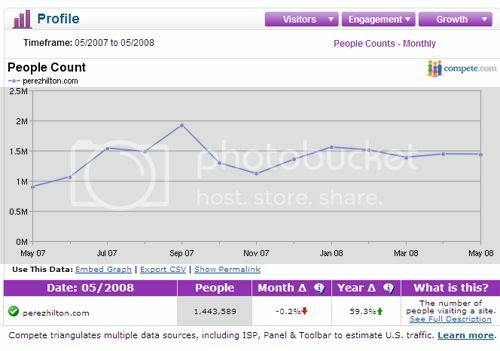 This gives Quantcast full information about the site and its visitors (the same way that Google Analytics collects their data); they then share a portion of that information publicly and, for quantified publishers, that data should be trusted: pageviews, uniques, visits, etc. The beauty of what Quantcast has built is that publishers are incented to 'quantify' their sites because it provides a trusted 3rd party representation of their traffic - and for the tail of websites, that's an important differentiator because Comscore only measures the web's top sites. According to the data (3m uniques vs. 1m) and all of my anecdotal Silicon Valley conversations, Quantcast seems to be the preferred analytics provider over Compete.... but the real wildcard is clearly Google. The Google Trends launch garnered huge buzz yesterday - but it's yet to be seen how big of a step Google is actually taking. 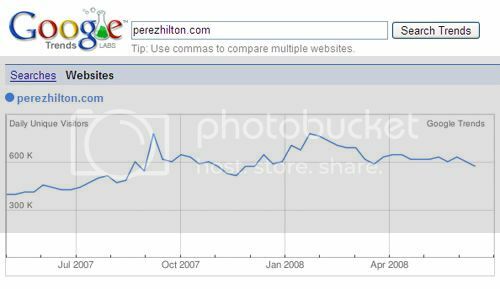 You'll notice below that Google Trends shows 600k daily uniques for PerezHilton.com - which falls between Quantcast and Compete... which leads to me to ask the obvious question: Will Google open up Google Analytics publicly on an opt-in basis? Quantcast has pushed Compete aside by gathering real data provided directly by the website owner. Google already has a massive footprint in Analytics - by providing an option to "make your data public", they can create a consumer-facing analytics service and extend the reach of AdWords / AdSense by matching demographics and allowing direct ad-buying. The integration is easy and leverages Analytics massive user base. More importantly, it delivers accurate data and makes Google Trends relevant - because, as it currently stands, the data is good just that: trends.